Sūpynės Festival has been a critical mainstay in the Lithuanian underground electronic music scene since its inception 12 years ago. As the tight-knight community of club-oriented musicians has grown, the festival has become an annual convention and an amplifying force for those involved. Run by Vilnius-based party promotion collective Minimal.lt, it has fomented a great deal of excitement locally and garnered international attention following its biggest edition in 2015. But the crew took an unanticipated and (until a few weeks ago) unexplained one-year break the following year, so expectations were particularly high for Sūpynės 2017. And while the musical and artistic curation, location and stage design were strong, the festival’s comeback did not go as triumphantly as planned. In fact, due to some unforeseen misfortunes, it was a disaster. 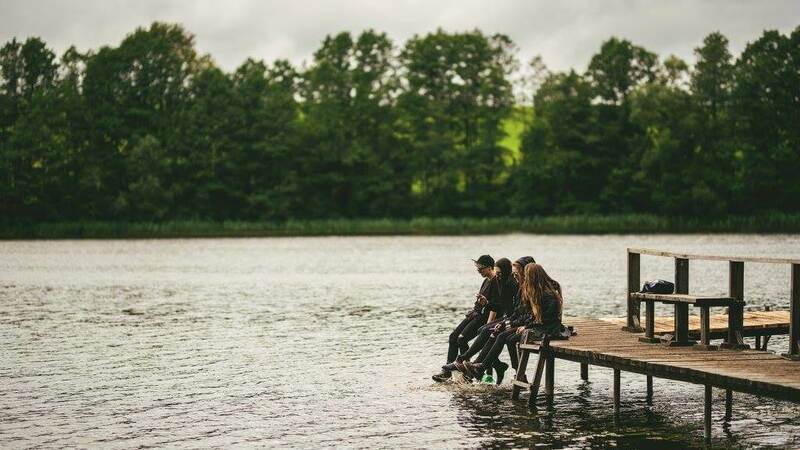 This year it was set on the incredibly lush, secluded island of Duburys Lake, which is about a three-hour drive from the capital city Vilnius and a stone’s throw away from the Latvian border. Due to the site’s remote location, the coordinators arranged regular shuttle buses from surrounding cities to shepherd those who couldn’t drive themselves there, and that posed significant organizational dilemmas later on in the weekend. 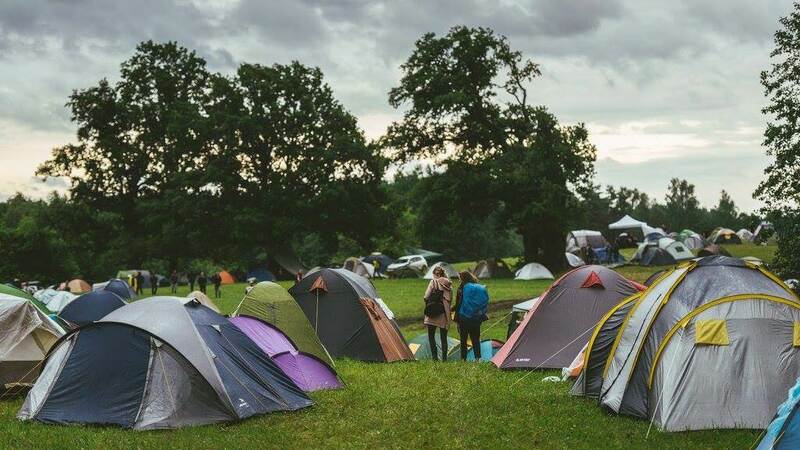 On Friday, guests set up tents in a field nearby to the “Less” stage, which lay tucked away in the woods and played the more experimental counterpart to the main “More” stage that faced visitors as they entered the festival grounds. As people wandered into the Less area after setting up camp, the music began to shift with the setting sun, diffusing droning, industrial-hued harmonies over the heads of attendees and into the thick woods behind them. These churning noir electronics were a perfect fit for the tenebrous setting, and unlike more traditional peak-time festival sets, most DJs and live acts never exceeded 125 BPM. This proclivity for aesthetic cohesion and bold eclecticism is one of the things that made Sūpynės truly special. 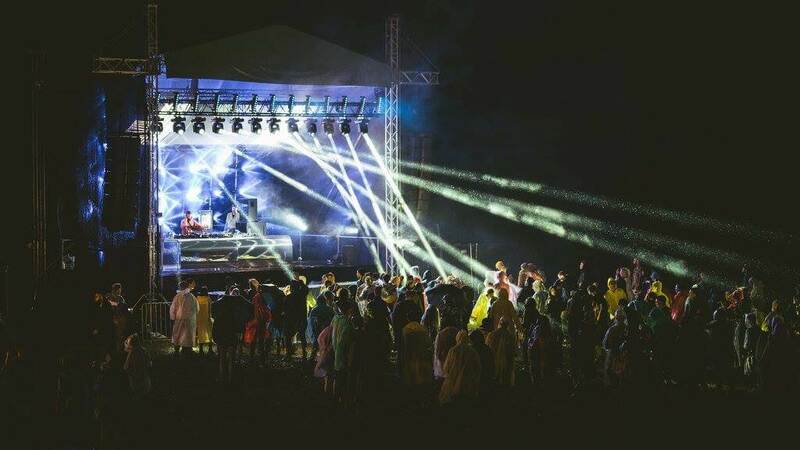 Experimental local DJs graced each stage throughout the majority of the weekend, and techno artists of darker inflections like Black Merlin, Nick Klein and Neel appeared as headliners on Friday and Saturday night. The overarching sound was dark and wrought with a twisted romanticism that was reiterated in almost every performance throughout the festival’s two nights. It was unfortunate, then, that the weekend suffered considerably from non-stop torrential downpours. “This was definitely the wettest, muddiest Sūpynės,” festival organizer Evelina Stundžienė wrote via email. “I guess a lot of festival-goers were forced to hide in tents because of the weather. I think some people left because of the heavy rain.” While some better-prepared attendees sloshed to techno in rubber boots, others stayed in their tents, and many chose to leave a day early to avoid the incessant storms. This main setback was unexpected, unfortunate and beyond Minimal.lt’s control, and the fact that the organizers hadn’t prepared for such a turn of events made the situation even worse. There were few covered areas to shelter dancers from the rain, and in a painfully ironic twist of fate, the vendor hired to sell ponchos and boots did not come in order to avoid the showers. “We were expecting it to be 30 degrees and sunny all weekend,” another Minimal.lt promoter lamented. Instead, the festival grounds were covered in deep pools of mud and buses scheduled to transport guests from Sūpynės back to Vilnius were delayed at the best, and some not expected to arrive at all. “We’re unsure about the next year—our team members have been in talks to make this festival the last one,” an organizer told us. Despite the weather, however, people were still able to enjoy the festival. 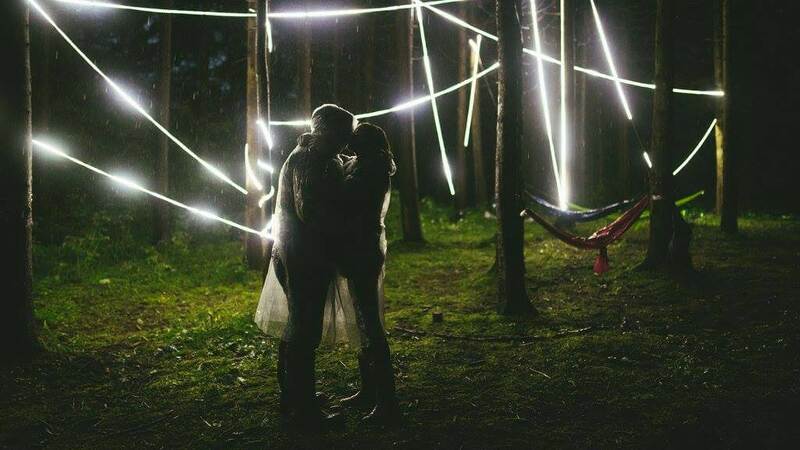 On the Sūpynės Facebook page, one guest mentioned that even with the rain, “It’s one of the best festivals we’ve been to. Music that you can’t find anywhere else and the forest stage was really out of this world.” After speaking with locals, it became abundantly clear that the festival’s Lithuanian following is grateful that an event like this can exist at all: many expressed pride for their country and the music scene that has slowly blossomed there in the recent past. Crafting a festival from predominantly local DJs and sharing it with an increasingly international audience was a unifying source of gratification among artists and organizers alike. The country’s cultural institutions have had trouble recuperating since the end of the Soviet occupation in the Baltic states. 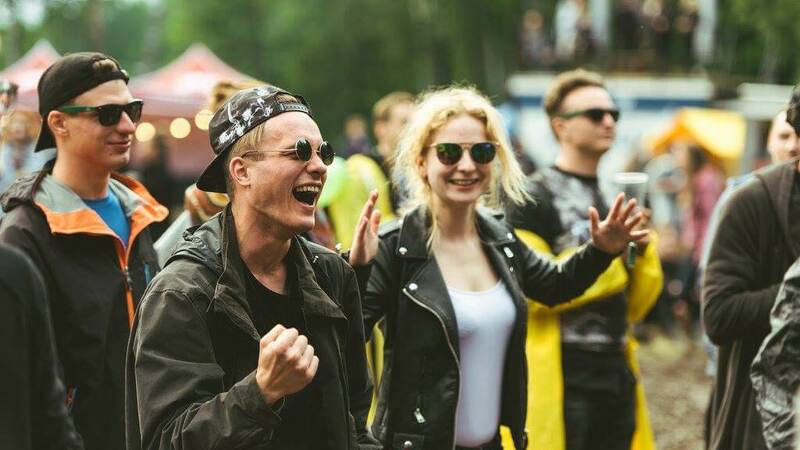 Lithuanian music has remained largely overlooked on an international level, and in electronic music in particular, the underground scene has only received significant press after Lithuanian Innervisions affiliate Ten Walls made homophobic remarks that went viral in 2015. As we noted following that incident in a feature on the country’s burgeoning music scene, Lithuania appears to be undergoing a musical revolution almost 30 years after the fall of the Iron Curtain. Sūpynės is one integral manifestation, and not only because it showcases a strong contingent of local talent: 43 of the 62 artists booked hailed from within the country. Grassroots operations like these are starting to gain a stronghold in the eastern and northern European electronic music landscape. 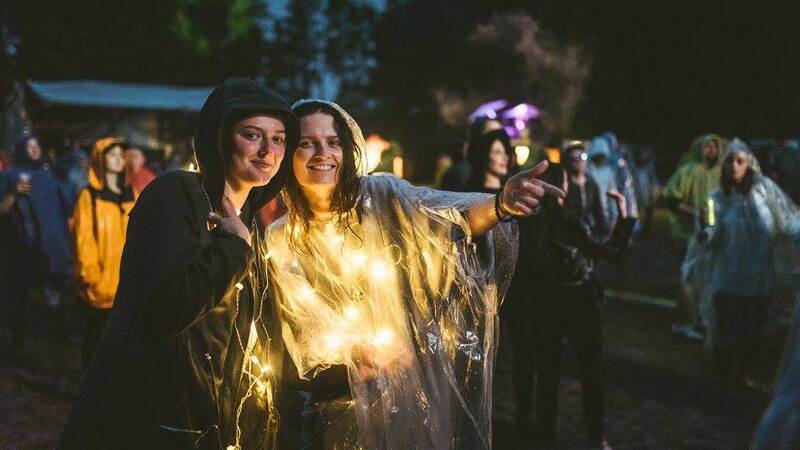 Similarly intimate festivals like Braillė Satellitė and Ravine Fest have begun to throw electronic music events in remote areas of the country in the recent past, and like Sūpynės, they support the artists bolstering the local underground scene. Sūpynės is one of the few championing darker and more experimental sounds, though. It’s also the only one with a strong contingent of returning attendees and an even stronger sense of community, both of which will play an extremely important role in getting the festival back on its feet for future editions—if Minimal.lt chooses to do so at all. We can only hope that, should Sūpynės be replaced by other events, future organizers will preserve its staunch commitment to sophistication and quality as well as its inextinguishable support for musicians who are just entering the fold.